"Winning a Grand Tour changes you both physically and mentally." 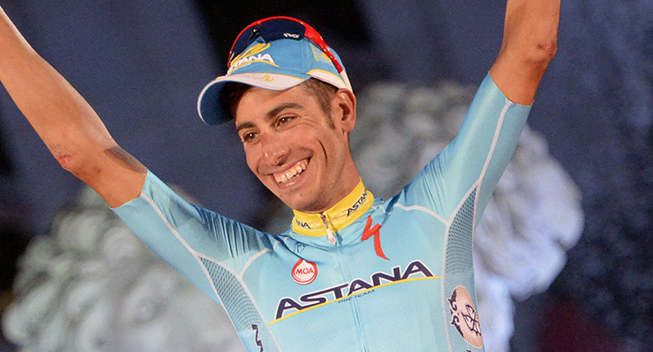 After his win at the Vuelta a Espana, Fabio Aru would like to be present at the next Tour de France. According to his coach Maurizio Mazzoleni, the Astana Pro Team rider is ready to become a contender for overall victory on this three-week race. Interviewed by Tuttobiciweb, he explained that his rider has changed a lot since his debut in cycling. "When he first came to the gym he didn’t know what to do and even struggled to do some core exercises correctly. When we look at the photos from back then in 2012, we can see how he’s developed. I like linear progress rather exploits and Fabio has followed a constant development with his group of riders at Astana", Mazzoleni explained. "At the 2014 Giro d’Italia he won a stage and was third overall. He also tested himself in two Grand Tours in the same season and reached two big peaks in form, finishing fifth in the Vuelta and winning a stage. This year he won two stages at the Giro and was second overall behind a rider of the calibre of Contador. Then in Spain he proved his ability by winning the Vuelta." Mazzoleni published also some data statistics about Aru's power. "During the Vuelta he was a pretty high level. He was at his best ever in the time trial and held 350/360 watts for more than 40 minutes. On the climbs he was at his best, going over 6 w/kg. He also showed his climbing skills and lactic acid resistance on long climbs. In the Vuelta he also showed he learnt to manage his efforts on the all important mountain finishes." Last week, ASO organisers have announced the course of the 2016 Tour de France. The next edition will pass through the Massif Central ,Pyrenees, Alps and Jura for 28 mountains (three more than this year) and two individual time trial. "Fabio still not physically fully mature but that will make it extremely interesting to work with him. He’s got the numbers to be a real champion and the mentality to back it up. The truth is we don’t really know his limits", he added. "We still don’t know the rider’s final race programme and goals but Fabio is ready to see what he can do at the Tour de France. 2016 will be about success but also about experience. If he targets the Tour, he knows he can do well but will not have the pressure on his shoulders to win on his debut. But he is able to handle the pressure, motivate his group of teammates and hit peak form. It’s only right he aims high in 2016."